Join Fr. Stephen Parkes & The Sisters of the Servants of the Pierced Hearts of Jesus and Mary on Pilgrimage to POLAND! On a pilgrimage of mercy walking in the footsteps of St. John Paul II, St. Faustina, St. Maximilian Kolbe and others! 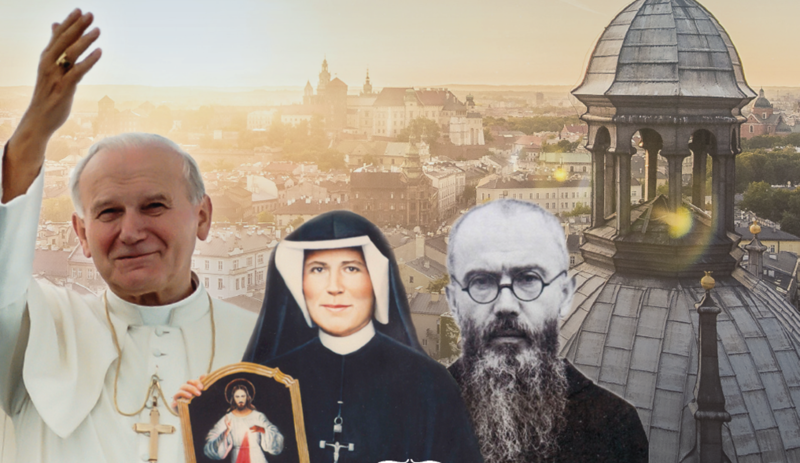 This 10- day pilgrimage includes roundtrip airfare (from Orlando to Poland); Daily Mass; professional Catholic tour manager; daily sightseeing, including: the highlights of Warsaw, Czestochowa, Zakopane in the Polish Alps, Krakow, the Divine Mercy Shrine, and more. Reservations through Corporate Travel may be made by Clicking Here.